In 2019, we will be offering parent and community education workshops on a variety of topics that have been requested by parents. See below for details and how to register. RSVP: You can show up without registering but it helps us to know how many are coming so if you rsvp on eventbrite in advance, you will be entered into a RAFFLE! DESCRIPTION: How do we offer guidance & support without rescuing our children from the discomfort that naturally comes with healthy challenges and growth? 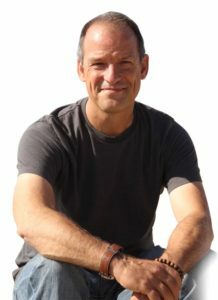 We will  introduce & practice simple strategies for supporting our kids in becoming capable & resilient adults,  explore simple practices for parents to use in being more present & understanding,  discuss the line that separates normal upset & disappointment from depression & anxiety that require professional intervention. MODERATOR: Rachael Steidl launched the YouthWell Coalition in 2016 to address the gaps in mental health services for youth and to expand the dialogue and increase community collaboration. In 2016, she launched the Youth Wellness Connection Clubs & Council with the Mental Wellness Center and is working with students on "you matter" campaigns on 5 high school campuses that promote self-care, kindness, and encourage youth to ask for help when they are struggling. She is committed to increasing awareness and reducing stigma so that youth and families can reach out for support when they are struggling. Rachael has an M.A. in Clinical Psychology and her early work experience included counseling youth in group homes and co-facilitating addiction groups. She is the owner of Steidl Consulting, as well as the founder and former publisher of the ParentClick.com network. Rachael has over 25 years of experience in management, marketing, and strategic planning. 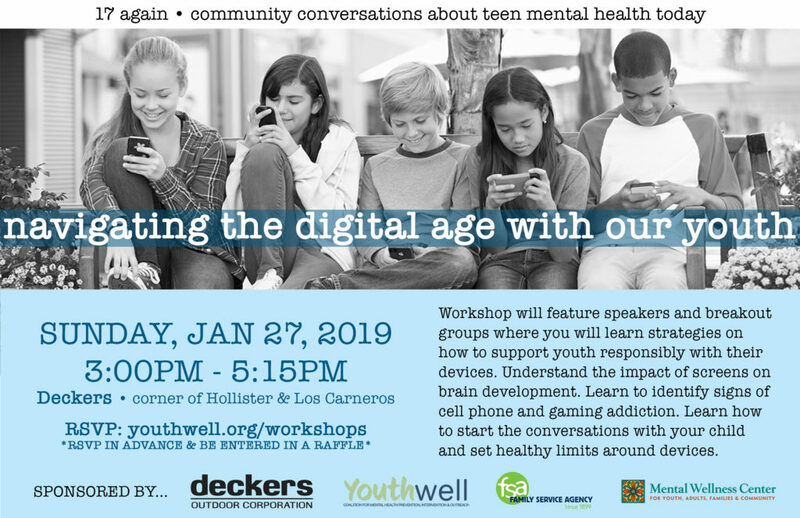 DESCRIPTION: Workshop will feature speakers and breakout groups where you will learn strategies on how to support youth responsibly with their devices. Understand the impact of screens on brain development. Learn to identify signs of cell phone and gaming addiction. Learn how to start the conversations with your child and set healthy limits around devices. 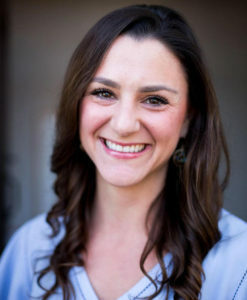 Alia Aizenstat, M.A., is a Registered Marriage and Family Therapist Associate and Professional Clinical Counselor Associate who works both in private practice and as a Lead Group Facilitator at AHA!, a non-profit organization educating teens on emotional intelligence and social justice. Alia holds a master's degree from Pacifica Graduate Institute in Counseling Psychology with an emphasis in Depth Psychology. She is the published author of Psychotherapy in the Digital Age: The Integration of Online Identities in the Therapeutic Process, and the founder of the Virtual Identities Integration Treatment model. She is an international lecturer and has been working to implement psychoeducational segments on digital responsibility into schools and therapeutic treatment centers. Alia has trained in EMDR trauma therapy levels one and two with an attachment focus through the Parnell Institute, and in Acceptance Commitment Therapy (ACT) with one of the program's founders, Steven Hayes. 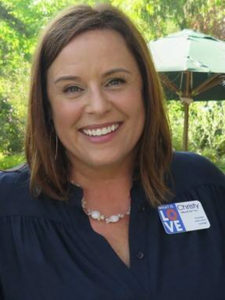 Christy Stillwell, M.A., is the founder and executive director of What is LOVE, an innovative dating violence prevention program dedicated to helping teens identify abusive love and build healthy relationships skills. Christy is an educator and youth activist with more than twenty years of program development, management, and independent evaluation. She conducts workshops, staff trainings and speaks in schools, juvenile detention facilities, universities, and youth-serving organizations. She is known for her creativity, innovation, and a high level of integrity while addressing complex vital issues. She is dedicated to creating a community of socially and emotionally intelligent youth, committed to success, building empathy, taking responsibility, repairing harm, and crafting successful futures. 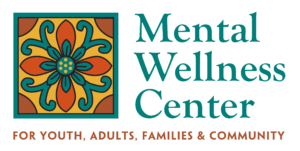 Through a SAMHSA grant, Family Service Agency (FSA), Mental Wellness Center (MWC), and the YouthWell Coalition are able to provide more community education around mental health as a way to support youth in our community.